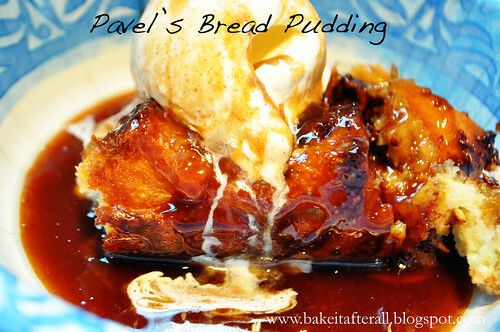 Here is another recipe from my days of following the MSPI (Milk Soy Protein Intolerance) diet while nursing my second baby. Normally I am not a fan of cooking with Crisco, but when you absolutely cannot have butter, these types of priorities often take a back seat. One nice thing about working with Crisco is that you don't have to wait for it to soften like butter since it's stored at room temperature. My mom and sister really loved these cookies and actually preferred them to the typical all-butter chocolate chip cookie. 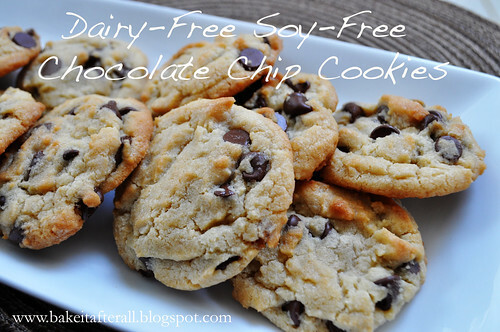 During my MSPI days, I relied on dairy-free soy-free chocolate chips. "Enjoy Life!" Brand is my favorite and thankfully my local grocery store carries them in the health/organic food aisle. These chocolate chips were so good - you would never know they were dairy-free! 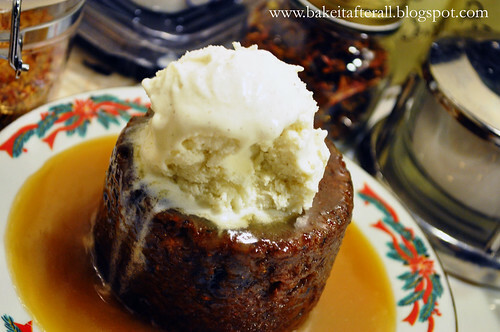 This recipe is actually adapted from the Nestle Toll House Cookie recipe, so you know it won't dissapoint! 1. Combine flour, baking soda, and salt in a small bowl. Set aside. 2. 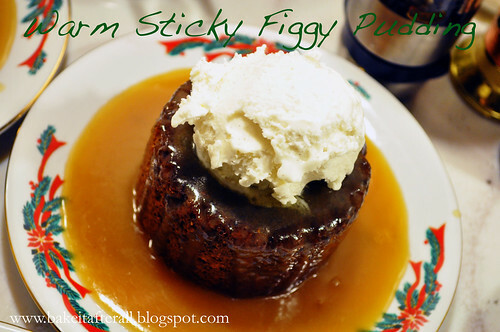 Beat Crisco, sugars, and vanilla extract in a large mixer bowl until creamy. Add the eggs, one at a time, beating well after each addition. Gradually beat in the flour mixture. Stir in the chocolate chips. 3. Drop by rounded tablespoon onto ungreased cookie sheets. 4. 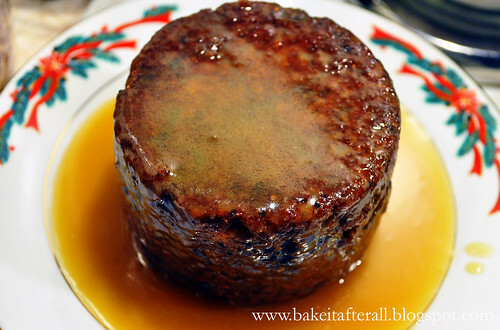 Bake for 8 - 9 minutes or until edges begin to turn golden. Cool for one minute on the cookie sheet and remove to a wire rack to cool completely. When I received my America's Test Kitchen Healthy Family Cookbook several years ago, I came across this recipe for Skillet Chicken Fajitas. I was hesitant to try them at first because I already have a favorite fajita recipe (Grilled Chicken Fajitas), but during the winter the last thing we want to be doing is grilling in the dark and in the cold, so I was hoping to have a good stove-top fajita recipe for the winter months. 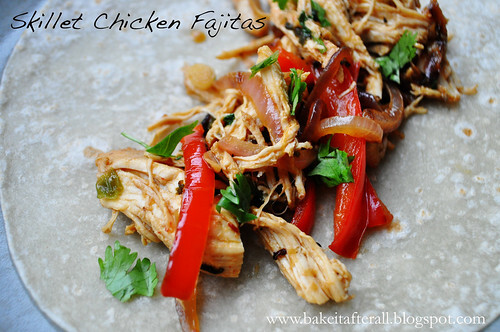 We love this recipe and welcome the different flavors not present in our go-to fajitas. The orange juice and chipotles in adobo make a great sauce that flavors the chicken, and I love the addition of the tomatoes and green onions at the end for some freshness. 1. Heat the oil in a 12-inch skillet. Add the sliced peppers and onions and season with salt and pepper. Cook, stirring occasionally, until softened and well-browned, about 5 to 7 minutes. Transfer the mixture to a bowl or plate and cover with foil, store in warm place. 2. Combine the orange juice, 1/2 cup of the of the cilantro, the chipotles, Worcestershire, and garlic in a measuring cup, then add to the skillet. Season the chicken with salt and pepper and add to the skillet. Bring the liquid to a simmer over medium-low heat, about 5 minutes. Flip the chicken over, cover, and cook until the chicken registers at least 165F on an instant-read thermometer. This may take 10 - 12 minutes, or longer depending on the thickness of your chicken. You will need to keep an eye on the liquid during this step. Often, mine evaporates and starts to burn in areas, so I add chicken broth to the pan when this begins to happen. This is not in the original recipe, but I have this issue every time - perhaps my pan is too large or the heat is too high, I'm not sure. Regardless, keep an eye on it because you don't want the sauce to burn on the bottom of the pan because of the sugar content. 3. Transfer the chicken a plate and shred. If necessary, simmer the sauce until reduced to 1/4 cup (I never have to do this step as my sauce is naturally reduced while the chicken cooks). Return chicken to pan. Off heat, stir in mustard, tomatoes, green onions, and remaining 1/4 cup cilantro. Season with salt and pepper to taste. 4. Serve the chicken mixture with the peppers/onions and warm tortillas (and toppings if desired). Obviously from my posts, I like a variety of different types of food - Mexican, Asian, American, and of course Italian. My grandmother was 100% Sicilian, and I have always identified strongly with my Italian heritage. Surprisingly, she didn't cook much Italian food, but her influence on our family has inspired many recipes. My aunt originally developed this lasagna years and years ago, and my mom then took it on - whether she tweaked anything, I'm not quite sure, but I do know that I put a major wrench in it by substituting ground turkey for the beef! To be honest, most of the people who have tried this recipe don't even realize it's turkey. The only thing that tips them off is this: I'm eating it! My aunt and mom also make a homemade sauce with it, which I've made and really enjoy, but for me, as I've mentioned before, Prego Traditional is so good that it's not worth my time to make the homemade sauce. My new favorite sauce is Trader Joe's Tomato Basil Marinara. I only go to Trader Joe's about 4 times a year so I make sure to stock up on this sauce. I buy so much that the checker once asked me if I was buying it for an Italian restaurant. He actually had a customer who did this before! The ricotta-type layer actually uses cottage cheese. I always thought this was a little strange, but it's delicious so I ever complained. Then I saw Cook's Illustrated substitute cottage cheese for ricotta in some recipes! Guess it's not that strange! 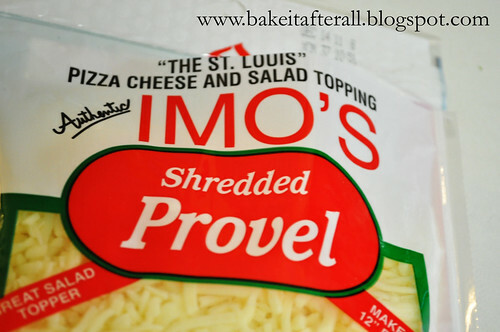 One thing this lasagna does contain is a classic St. Louis ingredient - Provel cheese. If you do not live in the area, you probably won't be able to find this cheese (and may not even like it if you didn't grow up with it), so you may substitute mozzarella or Provolone. 1. Brown the meat in a skillet. If using ground turkey, you may want to add a teaspoon or two of olive oil. 2. Drain the meat if necessary. Sometimes with ground turkey there isn't much liquid left to drain, and the small amount that is there may lend flavor to the sauce. 3. Add the homemade or prepared sauce of your choice to the meat and simmer for at least 30 minutes, ideally an hour or more. 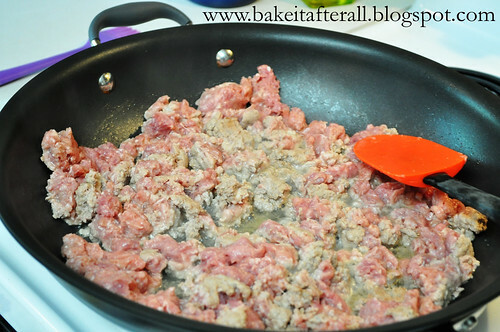 I find that ground turkey starts to break down if cooked too long, so I wouldn't do an all-day simmer. 4. 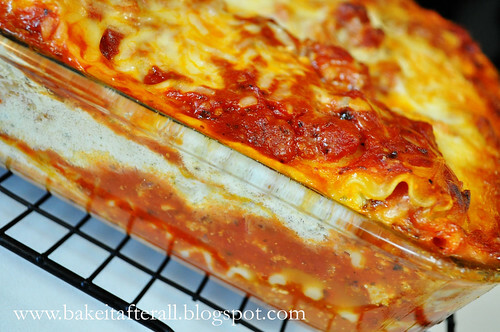 Cook the lasagna noodles as directed on the package to al dente (use the lower time or even a minute less). When the noodles are done, I like to lay them in a single layer on pieces of waxed paper to cool until I'm ready to assemble the lasagna. 5. Place the cottage cheese, eggs, salt, pepper and parsley (to taste) in a food processor and blend until smooth. 6. 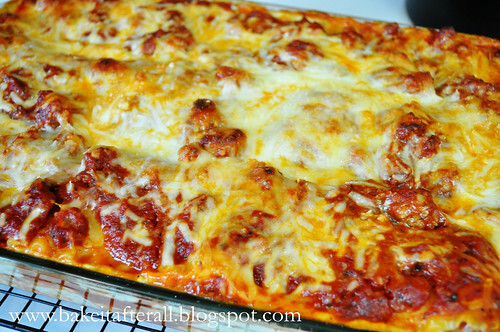 To assemble the lasagna: spread about 1 cup of sauce over the bottom of a 9x13" pan then beginning layering: 3 noodles, sauce to cover, 1/3 of the cottage cheese mixture, 1/2 cup mozzarella cheese, 1/2 cup Provel cheese, and a little Parmesan cheese. Repeat layers. If your pan is not deep enough for 4 layers, 3 will suffice. For the final layer, I top with lasagna noodles, sauce, and then an extra 1/c cup mozzarella and some Parmesan. 7. If the pan is full, place it on a baking sheet lined with foil because it may spill over the sides. Bake uncovered at 350F for 45 minutes. 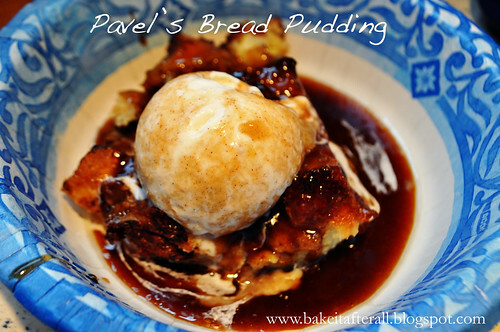 (To make ahead, assemble but do not bake, then refrigerate or freeze. If you make ahead and refrigerate, then bake for 1 hour. 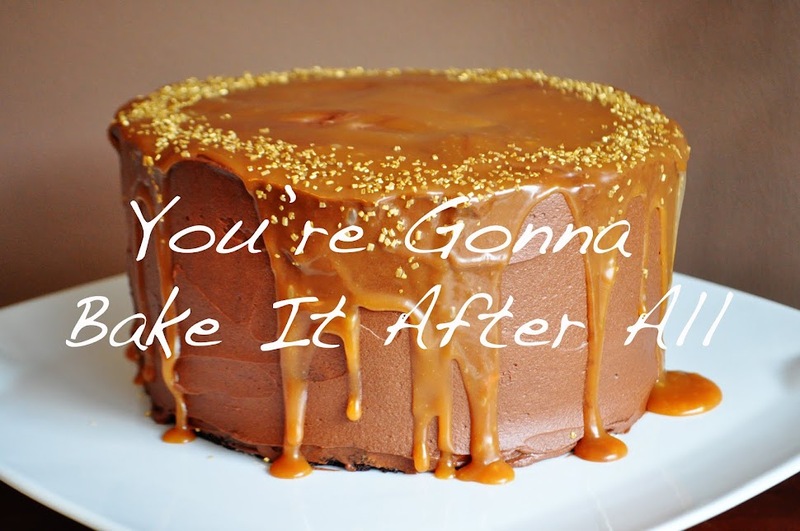 If make ahead and freeze, it may take up to 90 minutes or more). 8. Remove dish from oven and let rest at least 15 minutes before cutting. As I've mentioned here and here, when I was eating dairy/soy-free (MSPI diet), I had to completely revamp our meals. Several of the dairy/soy-free dinners were so good that they have stuck around as staples in our rotation. This Chicken Fried Rice is one of them. You can serve it with soy sauce on the side if you don't have a sensitivity to soy, or if there are members of the family that can tolerate it. Bob usually puts soy sauce and sriracha sauce on it. Authentic fried rice is made from day-old rice. Since I usually serve the Spicy Honey-Brushed Chicken Thighs with rice, I make a double batch so I have leftover rice for this recipe the next night. I prefer chicken thighs for this recipe but have used chicken breasts before and they work too; it's just a matter of personal preference. 1. Drizzle Canola oil in a large nonstick skillet and heat over medium-high heat. Season chicken thighs with salt and pepper and place in pan "pretty" side down. Cook until starting to brown and then flip to finish cooking completely. Remove chicken to a plate until cool enough to handle, shred, and set aside in a warm place. Set pan aside for use in step 3. 2. In a smaller (medium-sized) nonstick skillet, heat 1 tablespoon oil over medium-low heat; swirl to coat pan. In a small bowl, lightly beat together eggs, 2 teaspoons water, and 1/4 teaspoon salt. Pour into pan; cook, pulling in egg from edge of pan, until set, about 2 minutes. If desired, carefully flip over for a few seconds. Transfer to a plate; when cool enough to handle, cut into strips. 3. In large skillet, heat remaining tablespoon oil over medium heat. Add scallions and garlic; cook until fragrant, about 1 minute. Add rice; season with salt to taste. Cook, stirring often, until very hot, about 5 minutes. Add vinegar, peas, eggs, and shredded chicken; cook until very hot, about 2 minutes. I mentioned in this post that I had to be dairy-free soy-free for several months when Ella was a new baby. One of our favorite dinners that I found when searching for MSPI Friendly recipes is this recipe for Spicy Honey-Brushed Chicken Thighs. 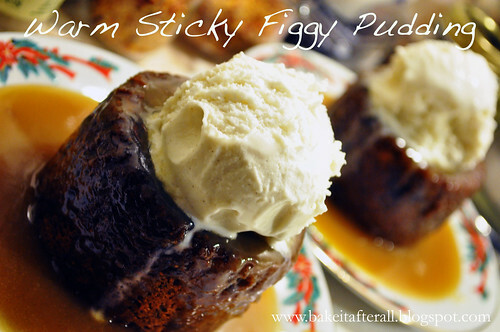 We all love these, and I continue to make them despite no longer having to be dairy/soy-free. I usually serve them with plain, steamed rice and sautéed sugar snap peas. 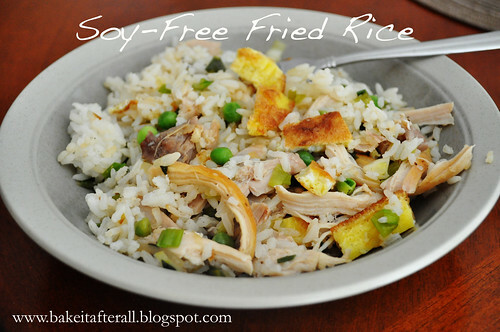 I will soon post my favorite MSPI Friendly Fried Rice recipe that I make using the leftover rice from this dinner! 1. Preheat broiler. Cover a baking sheet with foil and spray with Canola cooking spray or brush with Canola oil. 2. Combine first six ingredients in a large bowl. Add chicken to bowl; toss to coat. Place chicken on pan. 3. Broil chicken 5 minutes on each side. 4. Meanwhile, combine honey and vinegar in a small bowl, stirring well. 5. Remove chicken from oven; brush half of the honey mixture on chicken. Broil 1 minute. 6. Remove chicken from oven and turn over. 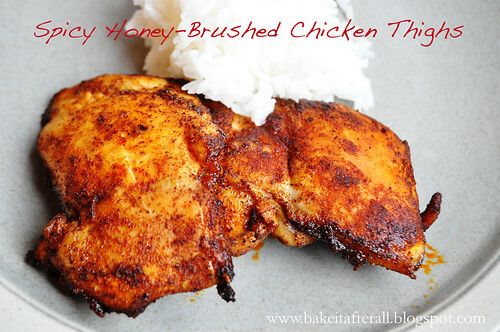 Brush chicken with remaining honey mixture. Broil 1 additional minute or until chicken is done.